This is a good example of a flyer that a real estate agency sends out. They are kind of weird in shape (they are very long) and so they kind of “stick out” a lot more than regular mail. They always include some “helpful” advice on their flyers such as cool lunch spots, or the UT football calendar. Red areas are most likely to attract attention, followed by Yellow/Orange areas, and Blue areas. Areas that have no color overlay are unlikely to attract visual attention. The Regions Report graphically represents the likely distribution of visual attention during preattentive processing. Any area or object that is identified as one of the first 4 predicted fixations is highly likely to be noticed at first glance, regardless of its 1, 2, 3, or 4 order. This is a good and simple direct mail flyer that features prominent contact information, coupons, map, and even Google Reviews. 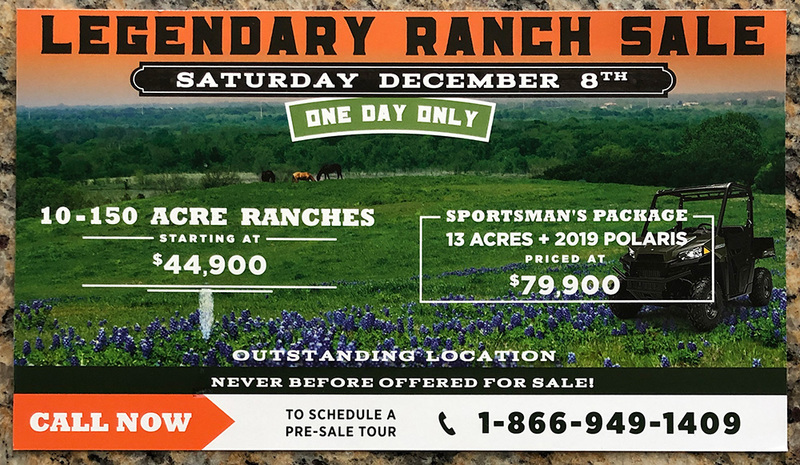 This is a nice direct mail flyer that features some sample layouts, pictures, and pricing for ranches. This is a great “brochure style” direct mail flyer sent out by TrustPilot.